Managing data ingestion is a serious challenge as the variety of sources and processing platforms expands while the demand for immediately consumable data is unceasing. Because modern data is so dynamic, dealing with data in motion is not just a design time problem for developers, but is also a runtime problem requiring an operational perspective that must be managed day-to-day and evolved over time. In this new world, organizations must architect for change and continually monitor and tune the performance of their data movement system. 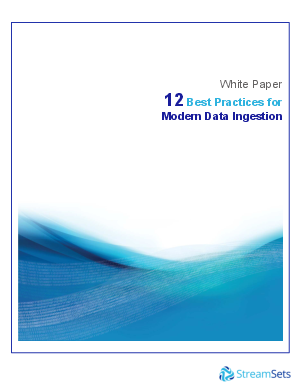 StreamSets, the provider of the industry’s first data operations platform, offers the following 12 best practices as practical advice to help you manage the performance of data movement as a system and elicit maximum value from your data.